Bakra Eid is one of the important religious festivals that are celebrated with great zeal by Muslim community by offering prayers, greet one another and sacrificing a domestic animal. These animals are butchered and meat is distributed to the family members and friends. Everyone wants to look gorgeous on this Bakra Eid. Women's look more beautiful in ethnic wear as it symbolizes her internal excellence, quality, decency and important fact about this attires are comforted that a woman feels in Indian Ethnic Outfit. 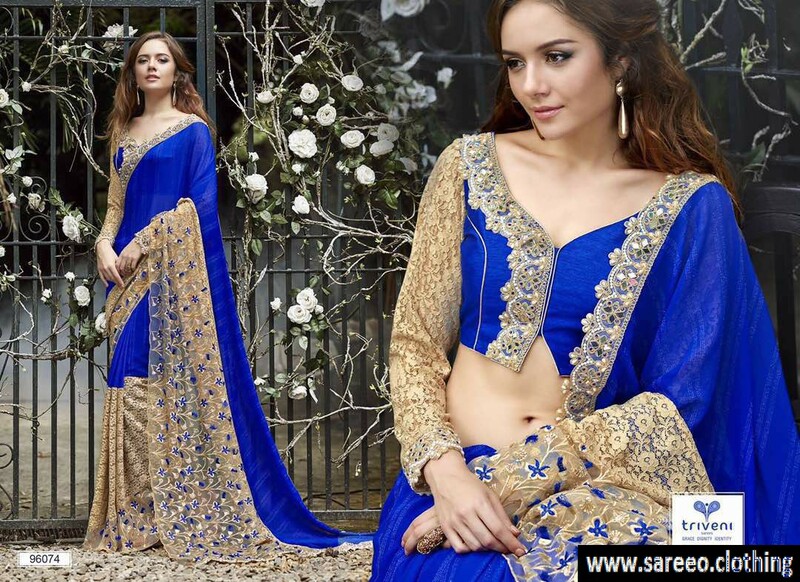 SareeO.Clothing brings the latest, fresh and unique ethnic wear collection for celebrating Bakra Eid 2017 and offers stylish and latest collections of Handloom Sarees, Salwar Kameez, Mind Blowing Anarkali Suits, Stylish Lehengas, Traditional Patiala Suits, Palazzo Salwar Kameez, Designer Indian gown and considerably more which give you the charming look. Fashion designers have now turned out to inventive and utilizing a wide range of shades to offer attractive appearance Designers come with attentive and unique designer collections in all varieties according to buyer’s expectation. These ethnic wear collections represent a harmonious blend tradition and style which perfectly complements the appearance of the wearers. Sarees are the best apparels of every Indian woman as its historical trending wear in India. It can enhance the beauty of a woman and makes her feel happy so it is important to select the good quality saree as well as to select stylish blouse. You can select fabric in sarees like Chiffon, Georgette, Embroidery, Net, Velvet, Crepe, Jacquard, Art Silk, Zarna Silk, Taffeta Silk, Paper Silk, etc. and there are many varieties available in work such as stones, beads, lace, sequins etc. Designers use these items to make the designs and pattern stylish & unique. Nowadays, many styles come for the festival and occasion like a crop top with Saree, Lehenga Style Saree, Embroidered Saree, Dhoti Style Saree, Slit Blouse with Saree, Jacket Blouse with Saree, Saree with pleats. If you are looking for festive wear saree in the light-dark shade, you can select this beige and pink color saree that are available in pure silk fabric. Designer designed this beautiful saree with heavy embroidery border and pink heavy blouse. If you make the blouse with three-fourth sleeve and deep v neck, you will look more beautiful. Blue Georgette Embroidered Saree is also nice for celebration. It is quite slippery in touch and important advantage of this fabric is that doesn’t need much care and durable. Due to mat finishing of fabric, it gives a slimming effect. Long sleeved with bordered in blouse add the value. If you drape the saree in a different way, you will look stunning. Lehenga is a novel Indian Ethnic Outfit that can be worn in any function and demand of it remain same not only in Indian women but also in western women. 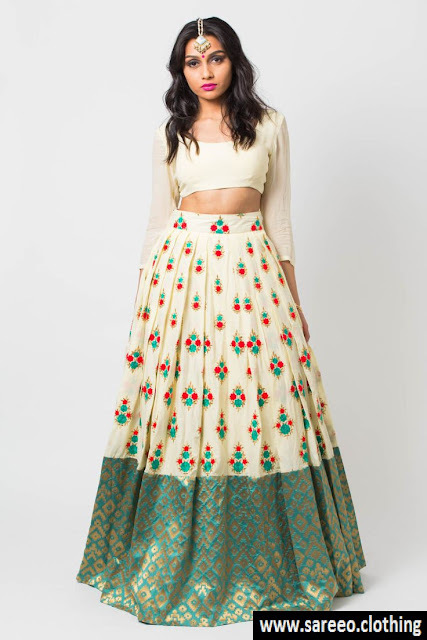 Lehenga is the most appealing function wear and easy carrying outfit that can be available in a wardrobe of each girl. The blouse is the core of the lehenga (check out various types of blouse) so be careful while choosing it. Different styled and fashioner blouse gives garnering consideration and sheer or fancy dupatta will add the value. Want to be the center of attraction in the festival? Well, if you are confused then choose the silk lehenga choli. Taffeta Silk Embroidered Sharara Circular Lehenga Choli is a good option if you are slim that will give you puffy look. You can make long sleeve blouse and drape the dupatta in a unique way that adds grace to the festive look. 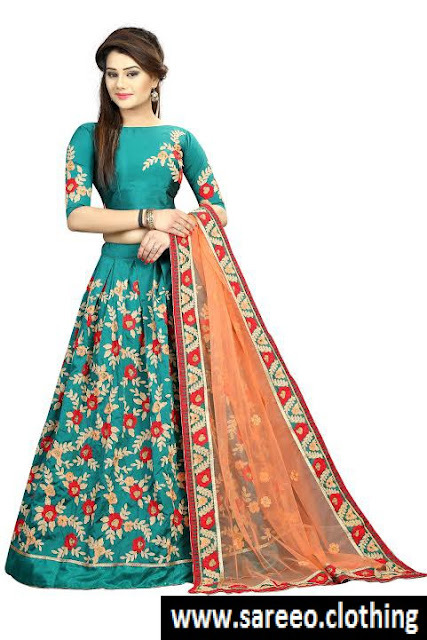 Be the center of attraction by choosing this green color designer lehenga choli that has embroidery worked lehenga and blouse, soft net with attractively embroidered lace border dupatta. High neck with a long embroidered sleeve with stylish back neck will give you charming look. Messy hairstyle with long earrings and high heels makes you elegant. Who doesn't want to look beautiful and stylish on Bakra Eid? If you are looking for comfortable Indian Ethnic Wear, select the Salwar Suit or Anarkali Suit. Anarkali Suits can look as classy and royal as a glamorous Saree or long gown if you wear this suit according to your body type. Most styles look fantastic on tall women. An Even short girl can wear Anarkali with minimal flare and heels. A Tall girl can experiment with empire line or waist line and floor length styles suits are excellent. If you are plumpy, don’t worry! You can wear Anarkali Suit with Kalis that start from the top instead of the waist and gives an illusion of height. If you are slim, you can select up and down pattern yellow color georgette Anarkali suit that will give stylish look. Top and Bottom of this suit worked with Jari, stone and Embroidery & fabric of dupatta is net with sequence embroidery work. You can visit our Indian Ethnic Wear Website to get the eye catching and trendy festival wear collections. Shop now and get a benefit of the exciting deal with Worldwide Free Shipping.